The most recent court decision, issued May 4, 2016, by Judge Michael H. Simon, rejected the foundation for prior salmon plans. Significantly, it dismantled the paradigm of trying to restore endangered Snake River salmon without considering major modification or removal of some dams. Lower Granite Dam, one of the four dams on the Lower Snake River that are driving all remaining Snake River salmon toward extinction. 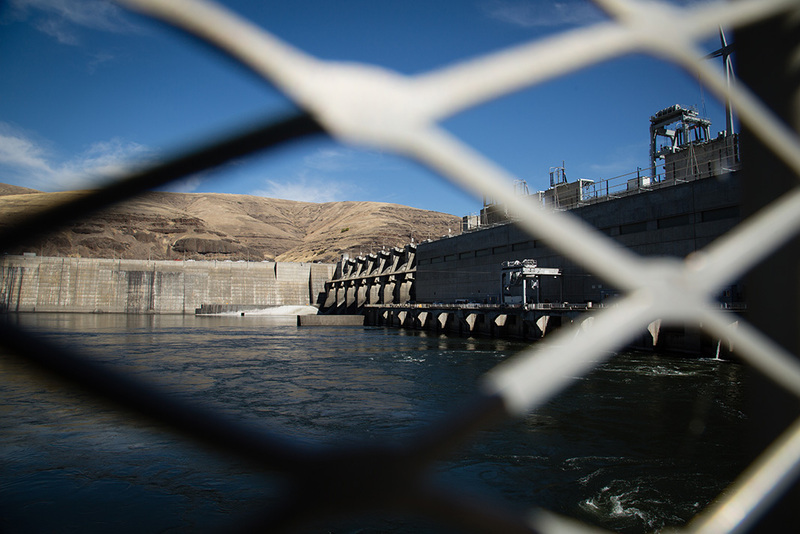 Of federal salmon recovery undertakings in the Columbia Basin thus far, the Court said, “These efforts have already cost billions of dollars, yet they are failing.” Some $15 billion has been spent. Not one species has recovered. Now, the government must change course. We have a unique opportunity to get it right: save wild salmon by removing four outdated dams and restoring a free-flowing Lower Snake River. 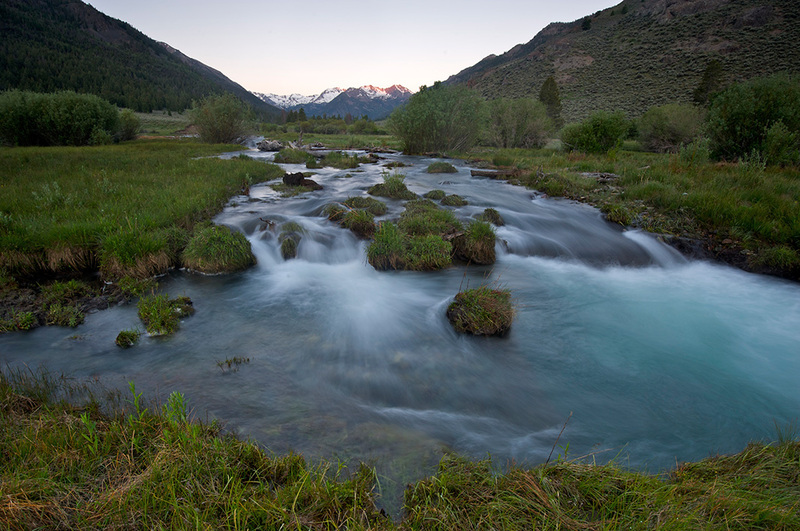 Some of the best salmon habitat left in the lower-48 states still exists within the mountainous Snake River headwaters, just beyond the four Lower Snake River dams. The cold, clean, high-elevation streams can produce abundant salmon runs in the near term—and serve as a safe haven for salmon in the face of climate change—if only the salmon can reach them. The answer is simple: The context for a decision about dam removal is dramatically different today, than it was the last time the agencies looked at this issue in 2000. Consider the following five things that have changed. And the one thing that has not. 1. The Northwest does not need the electricity generated by the dams. 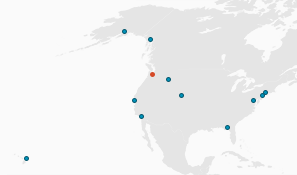 Since 2000, the Northwest electric grid has changed dramatically. 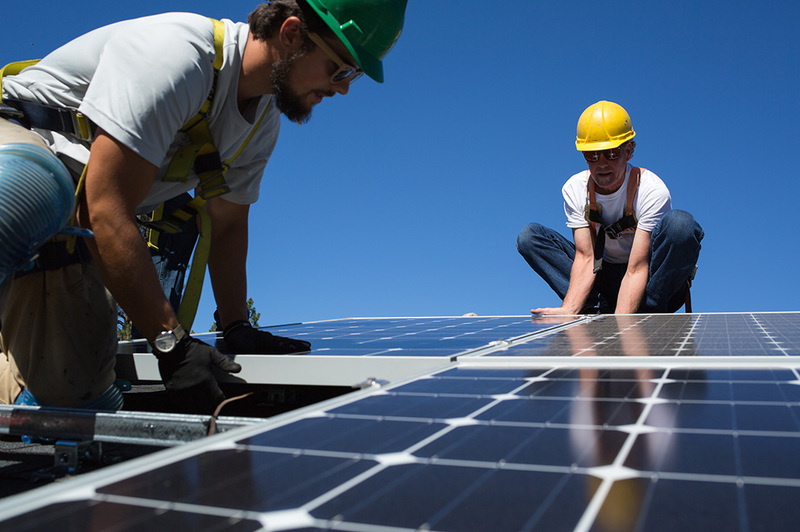 Technicians install rooftop solar panels in Spokane, Washington, in September, 2016. Energy efficiency and renewable energy sources have made the power generated by the Lower Snake River dams unnecessary. We now have two and one-half times as much new, renewable energy generation up and running in the Pacific Northwest as all four Lower Snake River dams produce in a year—2,500 average Megawatts (aMW) versus 1,000 aMW, respectively. And we have achieved energy savings many times the production of these dams through conservation and efficiency. The Northwest Power and Conservation Council has concluded that the Northwest has an electrical generation surplus and can meet expected increases in demand through at least 2030 with energy efficiency and planned new renewable energy. In fact, new renewable energy projects in the final stages of permitting and approval in the Northwest alone exceed the power generated by these four dams. Even as capacity from new renewables expands, the electric grid is evolving, and we’re becoming smarter about how we generate, consume, and manage electricity. Replacing the power from these dams with carbon-free, salmon-friendly, renewable energy is both technically feasible and cost-effective. 2. 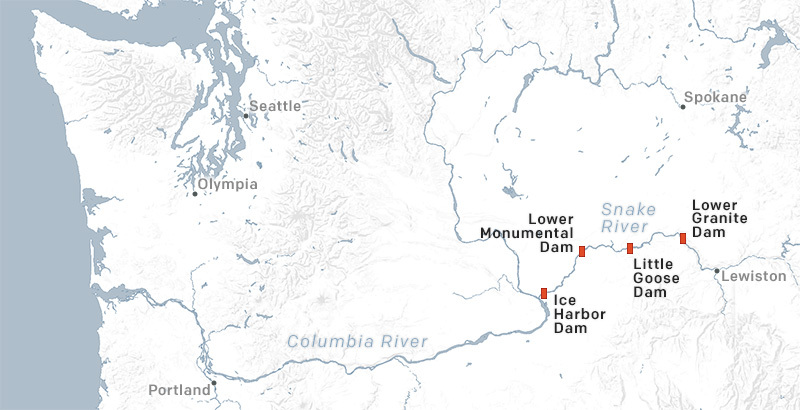 The four Lower Snake River dams are money losers for both tax- and bill-payers. Today, American taxpayers and Northwest bill-payers that support the operation and maintenance of these dams get back less than 50¢ for every dollar they invest in them. 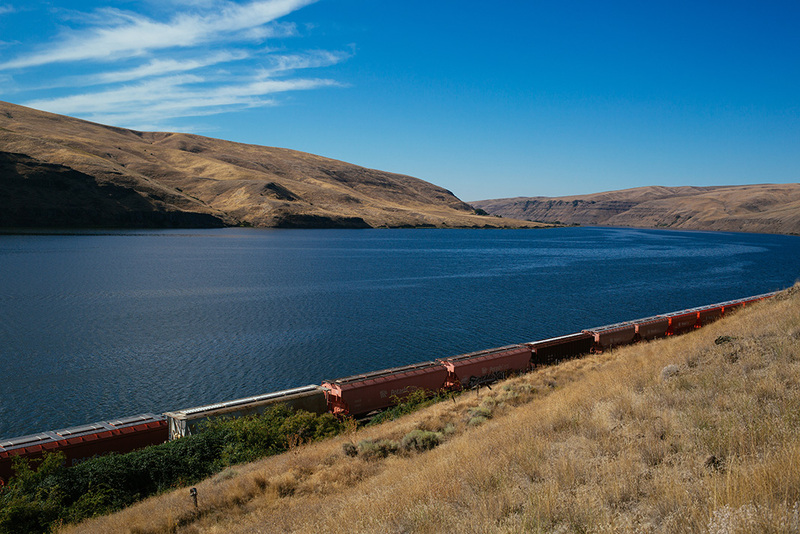 A rail line along the Snake River, in September, 2016. Since 2000, use of the lower Snake River to transport goods by barge has declined by more than 70%, while the costs of maintaining the aging infrastructure of the Lower Snake River dams has skyrocketed and will continue to climb, costing hundreds of millions of dollars as more and more parts of these dams need to be replaced. Shippers on the Lower Snake River navigation system pay only 15¢ for every dollar spent on this system—a huge tax- and bill-payer subsidy. For years, shippers have increasingly turned to rail to transport goods to market because it delivers them more quickly and efficiently. By continuing to expand our rail networks, we can keep our Inland Empire farm communities healthy and growing without destroying the remaining salmon. 3. We have proof that restoring rivers recovers salmon. Since 2000, our experience with dam removal has grown many-fold. The main lesson is: dam removal works. 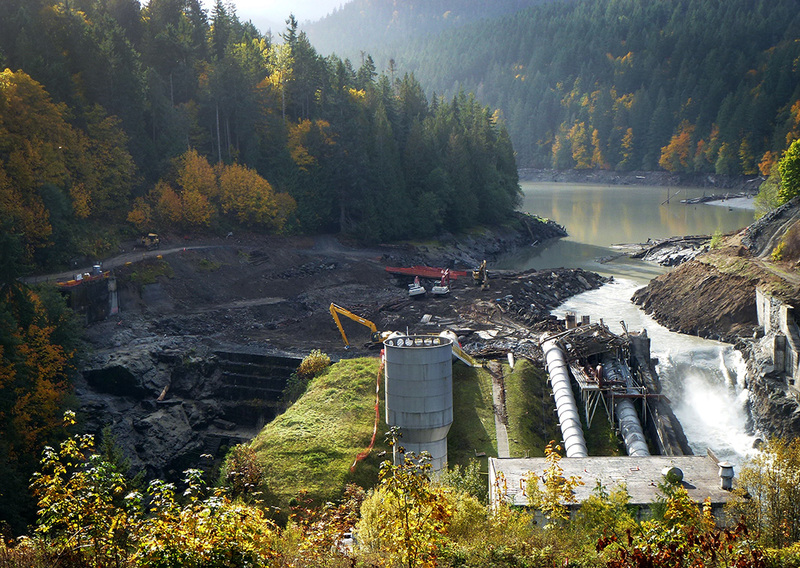 Removal of the century-old Elwha Dam, October 23, 2011. It was the largest dam removal operation in U.S. history. Today, the Elwha River once again flows freely from its headwaters in the Olympic Mountains to the Strait of Juan de Fuca. From small dams like Savage Rapids on the Rogue River, to larger dams on the White Salmon and Sandy Rivers, to massive dams like those on the Elwha, we have learned a great deal both about how to remove dams and what happens once we do. It restores rivers and it brings fish back—faster and more successfully than even the scientists anticipated. To be sure, dam removal requires careful technical planning, but removing the four dams on the Lower Snake River is no longer unprecedented. It is a proven way to restore a river. With proper planning, we can accomplish something truly extraordinary—the restoration of over 140 miles of a free-flowing Snake River, opening up access to many thousands of miles of pristine salmon spawning habitat and rebuilding healthy populations of wild Snake River salmon and steelhead. 4. We now have a clear understanding of the potentially catastrophic effects of warming on our remaining salmon. Removing the four dams will open up passage for the salmon to the pristine, cold water streams of the northern Rockies. East fork of the Salmon River, one of the major tributaries of the Snake River. The four dams impede the migration of adult salmon trying to return to spawn in the clean, cold waters of high elevation tributaries. Since 2000, our scientific understanding of the effects of climate change on salmon has advanced tremendously. These effects are not abstract or speculative. In 2015, some of the earliest and hottest weather on record produced warm river temperatures that killed more than 90% of all adult sockeye salmon returning to the Columbia Basin. For the most endangered species, Snake River sockeye—which already are at dangerously low levels—only a few dozen adults returned to their spawning grounds in Idaho out of more than 500,000 baby sockeye that left to migrate downstream a few years earlier. That’s a return rate of 1⁄100 of 1%! As the climate warms, the salmon disaster of 2015 is likely to occur again unless we make significant changes in dam and river operations. The federal agencies must now address the effects of climate change on salmon survival and recovery. One of the most effective steps is to restore a free-flowing Lower Snake River so adults and baby salmon can move more quickly through this crucial stretch of river that currently consists of four lethally warm slackwater reservoirs—and four salmon-killing dams. 5. Our endangered Puget Sound orcas depend on Columbia Basin chinook salmon. Since 2000, scientific understanding of the food sources on which Puget Sound orcas depend has greatly increased. We now know that each year these whales leave Puget Sound in the winter and travel south along the coast feeding and—if all goes well—fattening themselves for survival and reproduction. But all is not going well. 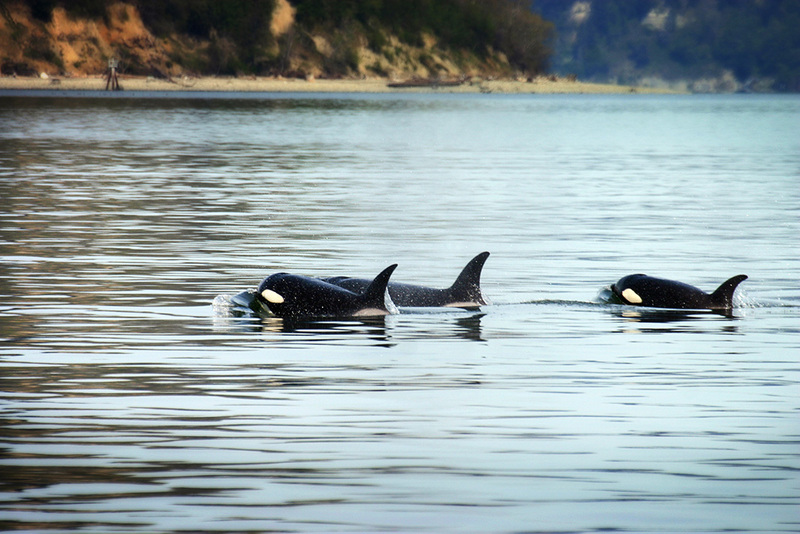 Scientists say these orcas are “nutritionally stressed,” starving in plain language. These same scientists have said that historically orcas would spend weeks each winter feeding on adult chinook salmon in the Pacific, especially off the mouth of the Columbia. They have concluded that one of the biggest factors affecting orca nutrition is the tremendous decline in chinook salmon coming out of the Columbia/Snake River basin. For millennia, the Snake River and its tributaries produced well over half these chinook. To save the orca, we must rebuild healthy populations of Snake River salmon—and to do that, we have to restore the Lower Snake River by removing the four dams. What has not changed since 2000? 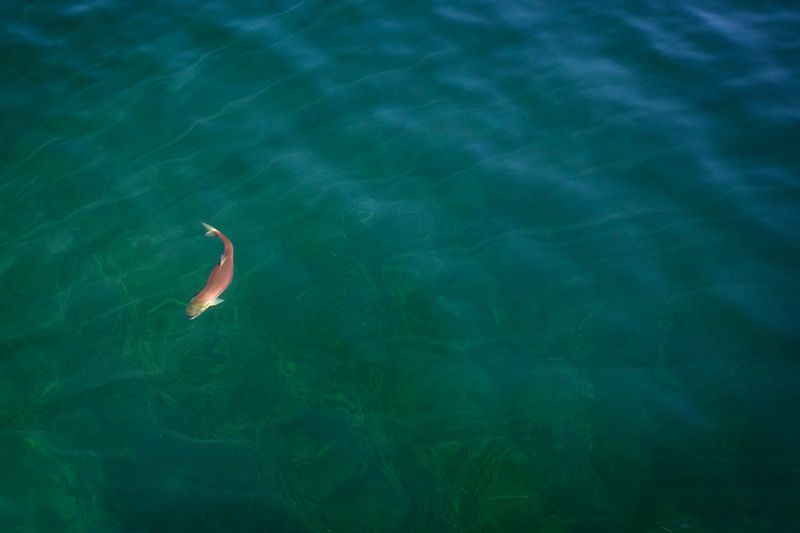 A sockeye salmon (Oncorhynchus nerka) in Redfish Lake, Sawtooth National Recreation Area, Idaho. All our remaining Snake River salmon hover dangerously close to extinction. Despite spending billions of dollars on salmon restoration in the Snake and Columbia basin, including hundreds of millions of dollars to jerry-rig expensive contraptions to get baby salmon downstream past the dams, a 2007 joint analysis by federal, state and tribal scientists concluded that over 70% of human-caused mortality to these fish is associated with upstream or downstream passage through these dams and reservoirs. For more than 20 years, the Northwest Power and Conservation Council has said we need sustained return rates of 2%–4% for salmon survival and 4%–6% to move towards recovery. And for that same 20-plus year period, the return rates for wild Snake River salmon have largely hovered between 0.5% and 1%—far below what we need to achieve for wild salmon to survive and thrive into the future. During the past two decades, regional and national stakeholders and many others—Native American tribes, state and federal scientists, and business leaders—have been urging the agencies to remove the four Lower Snake River dams, the single biggest action we can take to restore the salmon. Further, the removal of those dams would not only aid salmon, it would be a boon for the communities, the regional economy and Pacific Northwest culture. Remarkably, the federal government agrees this is the best option for the salmon and has said so: in its 2000 Plan, the government said, “breaching the four Lower Snake River dams would provide more certainty of long-term survival and recovery than would other measures.” But the government did not take this step then, and in each new iteration of the plan since, the agencies have found one excuse after another to avoid serious consideration of dam removal. Don’t let anyone tell you they’ve seen this movie before and know how it ends. It’s our story to write. It’s time for the four dams on the Lower Snake River to go and for our salmon to come home—to a free-flowing and healthy Snake River. We have a unique, once-in-a-generation opportunity to restore a healthy river and bring back our salmon from the brink of extinction. Following May's court decision, federal agencies are now seeking the public’s input on a plan for dam operations that will restore our wild salmon. The Northwest Office of Earthjustice is located in Seattle, Washington. Earthjustice has been at the forefront of many of the most significant legal decisions to safeguard the region's imperiled species, ancient forests, and waterways, and to speed the transition to clean, renewable energy. Learn more about the Northwest legal team and about the wild salmon campaign.